Students will visit regional manufacturing plants on National Manufacturing Day, Friday, October 5, 2018. Local factories and training colleges are getting ready to showcase the rewarding career opportunities available in advanced manufacturing. With the goal to inspire students and their parents to consider makers careers, read full story. To find an event near you visit www.mfgday.com and click on “Find an Event” to enter your city. Most event locations require pre-registration, so be sure to register early. Turnout is expected to be high. Center for Employment Training will be offering Center Facility Tours and interactive activities for Machining, Welding and Green Building Construction. All guests should wear closed toe shoes. Junior high and high school students from the Inland Empire region are participating in a Manufacturing Day Expo in recognition of National Manufacturing Day 2017. At this event, students will meet with local manufacturers and engage in interesting, hands-on activities. Students will also tour the facilities at the Industrial Technical Learning (InTech) Center and have a chance to meet with additional local manufacturers in the Inland Empire. Refreshments will be provided; this event is free of charge to participants and is sponsored by Chaffey College’s Economic Development Department, the California Community College Chancellor’s Doing What Matters Campaign, and the San Bernardino County Superintendent of Schools, Alliance for Education. Please join the City of Menifee, Mt. San Jacinto College, CMTC and the Menifee Chamber of Commerce as we celebrate Manufacturing Day 2018. 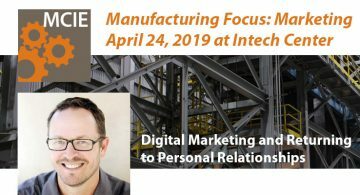 Our program includes Industry Expert Panel Discussion, a tour of the brand new MSJC Eagle Makerspace, and partake in complimentary food and beverages. CMTC, the Murrieta Chamber of Commerce, Murrieta Valley Unified School, District (MVUSD) and the City of Murrieta will host their third annual Manufacturing Day event. In conjunction with the Murrieta Valley Unified School, District, the City of Murrieta is proud to host another amazing event focusing on access for Career Technical Education (CTE) Pathways. Please contact Michael Vargas at mvargas@cmtc.com or Scott Agajanian, 951-461-6003, Sagajanian@MurrietaCA.gov for more information. A19 will open its doors and invites members of its community to observe how we make ceramic wall sconces and pendant lighting fixtures first-hand. There will be an opportunity to play with our clay for those who want to get dirty. This will be a tour of our ceramic slip casting facility so it is recommended to NOT wear your finest black business attire, although any clay smudges will wash off easily. Come play with us at A19 and get a taste for what we call “Artisan Manufacturing”. You may just fall in love with what we do or even want to join our creative team. Action has been producing embroidered emblems for the United States Army, Air Force, Navy, Marines and Coast Guard since 1943. Please come and visit with us and see how these patches are made. You will leave with some samples of our craftsmanship. Join City of Ontario staff and check out an open house invitation to the new Lightspeed Makerspace. Lightspeed Makerspace provides a location within the Ovitt Family Community Library that has dedicated equipment and software to create digital media projects, 3D prints, laser cutting and etching, sewing crafts, robotics and coding, electronics, and Minecrafting. Use of Lightspeed equipment is free to the public. Lightspeed can be used by individuals or small groups and provides the community free access to technology they might not have had before. Lightspeed can be used by adult customers and high school students. Ontario City Library card holders who are not already in high school can use Lightspeed with a parent or guardian present. Axxis Corporation will be hosting Manufacturing Day tours starting at 12 pm. Please Join us to see our state-of-the-art facility and operations which produce precision parts and tooling for a variety of companies. Students, the community, and educators will see parts being made in real time and how they are used in everyday application. Presentation of our facility, processes and equipment. We’re a distillery and though we make alcohol to imbibe, many distilleries produce various chemicals for pharmaceuticals and other industries so learning about distillation in and of itself carries interesting knowledge aside from just the libation side of the house. Dress code, no dress code, just be dressed. Though our sign says “no one under 21 allowed” MFG Day we’re open to all who wish to attend. For more event information contact Doug Kidd, 909-792-0510, dkidd@jrileydistillery.com. Aleph Group Inc is a manufacturer of mobile medical and dental vehicles. These units are custom designed to provide full dental and medical examinations, for communities around the world. Come and see how our team design and fabricate these amazing vehicles! The Aleph Group, Inc. (AGI) manufacturing facility will be open for tours to participants of Manufacturing Day. Closed toed shoes are recommended. Visit us on Manufacturing Day for an inside look at the manufacturing industry. Enjoy a facility tour, games, and presentations by our engineering and production department. Bring closed toed shoes and an attitude of curiosity! Please email Mbradley@brfa.com to schedule your time slot. Phenix Technology, Inc. is an industry recognized manufacturer of high quality safety products built to NFPA and OSHA industry standards with a quality management system that is ISO 9001:2015 certified. Phenix products are used by firefighters and first responders worldwide. We are a people-centric Lean company! Come take a tour with us and see how we’ve eliminated waste all throughout our facility by getting our staff fully engaged in every process. Dress code can be business casual attire. We request that you wear closed toed shoes. Safety glasses will be provided before the start of the tour. We will be giving tours every half hour starting at 11 am. Our staff can’t wait to meet you! Join us for a panel discussion on Overcoming the Challenges of Manufacturing in the Inland Empire on MFG Day! Hosted by the Riverside County and San Bernardino Workforce Boards. 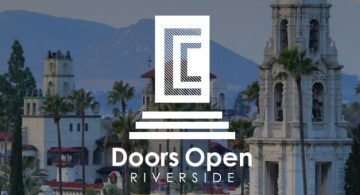 We invite parents, students, educators, manufacturers, groups, and others in the Inland Empire to our unique educational facility for an unforgettable experience. We will be giving tours, showing videos, and demonstrating a dozens of different Advanced Manufacturing skills. From 3D printing, to robotics, to sewing, to welding, to CNC machining, to laser cutting, to costume & prop making, and much more. We will also have machine manufacturers and local companies to exhibiting what they make locally. We are the center for hands-on skills learning. We would like to invite you to visit San Bernardino Valley College (SBVC) Machinist Technology Training Facility Established in 1946 offering training in CAD, CAM, CNC, Conventional, and tool & Die. The Lab will be open for touring from 8:00 AM until 10:00 PM. 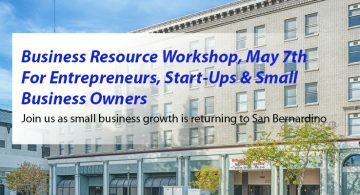 TET/SBCSS ROP will showcase the available training programs for career growth within the manufacturing industry. Their training facility will provide a first-hand demonstration of the new machining technologies that are available for industry, and where the job demand has been focusing on. No need to register, just JOIN US!!! We are a makerspace that likes to startup Startups. In celebration of Manufacturing Day, Precision Molded Plastics will be hosting a facility tour on Friday, October 5, 2018. This tour will provide attendees with the opportunity to observe modern plastic injection molding machines, automated equipment, and factory personnel as they manufacture plastic parts and components for a variety of applications and industries. Explanations of scientific molding techniques, quality control, quality assurance, mold building and maintenance, and more will be included, as will a question and answer period at the end. To learn more about manufacturing in general and plastic injection molding in particular, we encourage you to participate in this educational and informative event. Join us to celebrate another year of Manufacturing in America! We will be hosting facility tours every 15 minutes for guests to see rubber manufacturing in action.